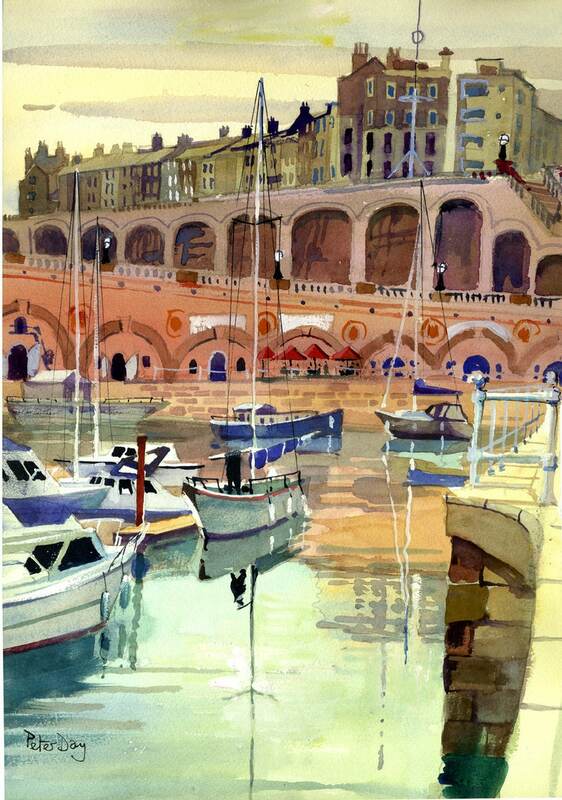 It was that sort of day when I sat by Ramsgate Harbour and painted this watercolour. Very brave to start a painting really. But the result was worth it with lovely sky and atmosphere you just don't get with sunny weather. Full of delightful boats and of course the lovely Ramsgate arches with their cafes and shops and galleries. Very conveniently a short bus ride away from where I live. 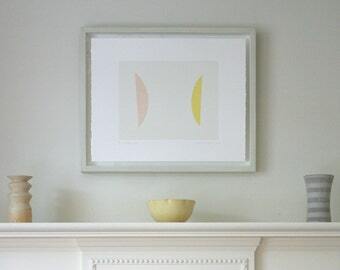 This watercolour painting like all my work is done with non fade paint and heavyweight rag paper. Across Viking Bay, Broadstairs, Kent. Jetty, Harbour and Boats. 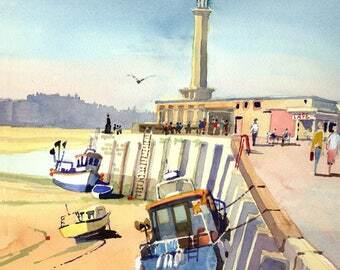 Busy Harbour, Whitstable, Kent -New Original Watercolour, 13 x 18 inches approx.